below is a brief overview of the game itself. This is helpful to those new to the game or are deciding on buying it someday. further below are some custom maps I've made for you to play. You will need Winzip to unzip them and put them in your map folder. the very bottom of this page are some links. This is an example of a Town. there are seven other types of towns than the one shown here. The top portion of the screen is where all of your buildings are displayed. Each town has a City Hall and a Fort, which can be upgraded to a better building that benefits you with more gold (Hall) and better defenses during a seige (fort). The City Hall earns your kingdom a daily allowance of gold. The amount of the gold depends on how far you upgraded your City Hall. the Fort can be upgraded to a Citidel and then to a Castle. Every town also gives you the option of building a Market and a Resource Silo. Click on the market in the top portion of the screen to access the market to buy and sell resources. The more markets you have, the better the trade value. The Resource Silo is just like a mine on the World Map. it also produces a certain type of resource each day (in this town's case, Gems). Most of the other buildings are where you hire your army. There are other types of buildings shown that are unique to each town-type. 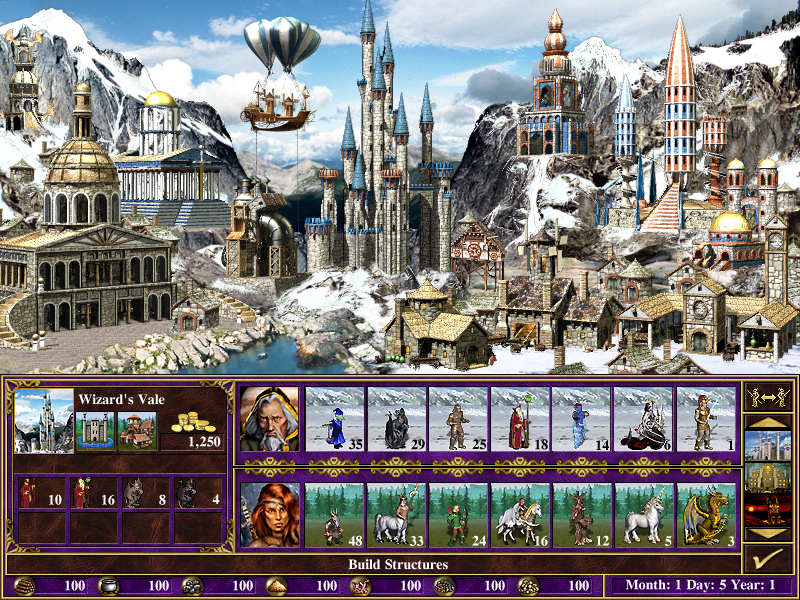 The bottom-left of the screen is the town overview, displaying what and how many creatures are produced each week, how much gold is earned daily, and a couple of icons indicating how big your Hall and Fort are. The bottom bar shows how much resouces your kingdom currently has. Also on the bottom bar is the current date in the game. Note that one turn is equal to one game day. See the character below the town image with a bunch of creatures to its side? that is your garrisoned hero and the creatures this hero commands. The Hero below that one is just visiting and this is the one that will be shown on the world map. The right vertical bar is where your other towns are shown. To go to that town, just click on its icon.The button with the two people with the arrow between them is the Split Army function. Select one group of creatures, push this button, and select another square to split an army. (Heroes 2 made you hold the shift key). The button with the checkmak on it exits the town and returns you to the World Map. 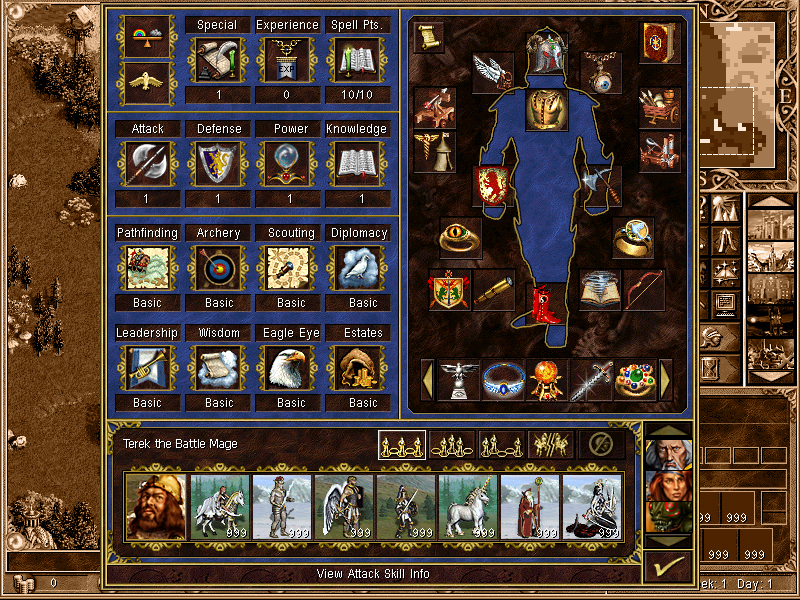 This is an example of a Hero status screen. The left portion is your Hero's special skill. The right portion is your equiped Hero's artifacts and backpack. To equip a sword artifact, place it in the left hand area. To equip a shield, place it in the right hand area. And so on. the bottom part is a brief view of your Hero's Army. To the right of this is a tactics button and further to the right is some icons representing the other Hero's in your kingdom. To select another hero, simply click on his or her icon. The window behind this is the World Map view. Currently, I do not have a complete picture of the World Map screen. This is a picture of the combat screen. The hero and the creatures facing right are the attackers and the defenders are the ones facing to the left. 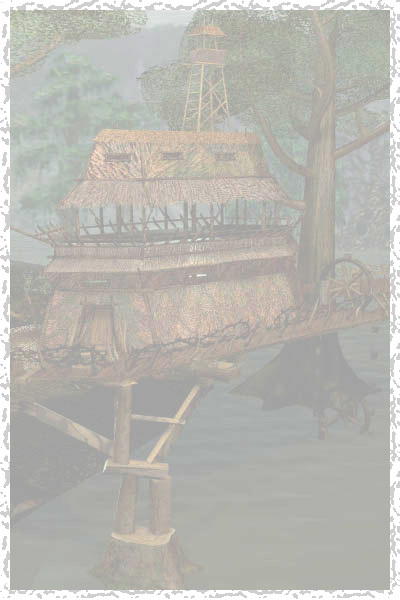 Notice that the defending hero has two speciality combat items: A Healing Tent and a Ballista. This is a picture of a castle seige. The defenders are the ones behind the walls facing the enemy. 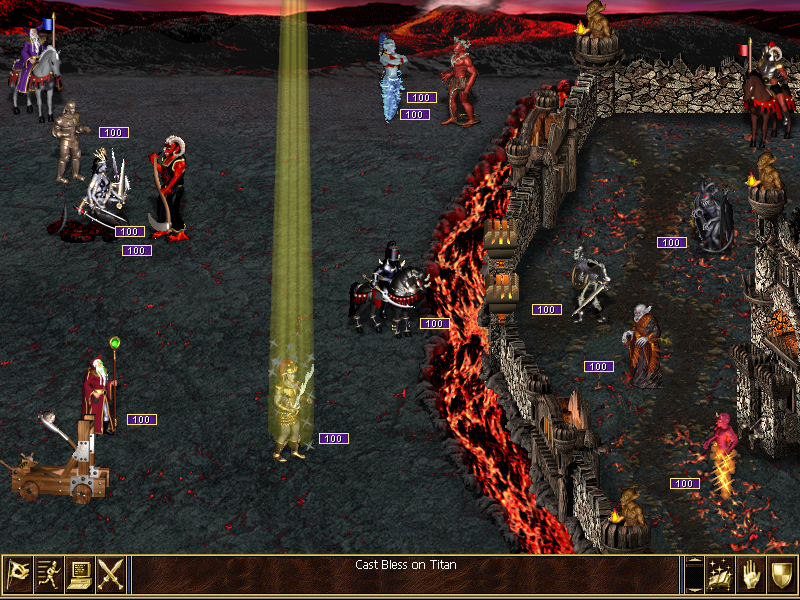 Heroes of Might and Magic 3 is a Strategy/RPG made by New World Computing, a Division of 3DO. for more legal information click here.